This is a continuation of Bolt's topic. It's the same project with the same people. This is NOT Jasher's project, this is a continuation of Bolt's the reasons I made this were because 1) I'm directing the film and 2) the other topic was pretty unorganized. We left off discussing the art style and generally the project as well as the script a bit, so continue the discussion. We currently need voice actors and animators and we need to get the script sorted out. Who exactly's working on it? I've got the old script pages but I'm thinking it may just be better to start the script anew(and the entire project if we must). The first film will be based upon A New Begninning, and if successful(obviously) will spawn The Eternal Night and Dawn of The Dragon sequels. A The Darkest Hour spinoff to show what happened between the latter films is definite. PM Bolt or I for more information or to join our project. I might join in on the script. Good luck. Hope you guys make something good. Yes, I'm Ember, and a possible script-writer, AND Cynder, unless Angel20220 is actually going to be Cynder. Honestly, I think I'm better at voicing Cynder than Ember. I've got my voice recordings, I just have to put them together, make a video and post it on Youtube. Added. If I forgot anything, just tell me. I haven't really bothered to put any art up for this project. But I'll try to get some up today. And we REALLY need to get the script sorted. It's a mess now. Just about to PM the old pages over S-G.
Has there been a decision on the plot? I might work on them tonight. Bolt told how the script is kinda like ANB? OH and yes I asked my friend if she would like to be an artist, and she's joined darkSpyro, several times, but she can't log in. She hasn't done any drawings yet, but I'll remind her about it. @ Fireball They're generally based on the trilogy. But not really much extra stuff... I never thought about that. We really need to fix the movie site so we can fix this project. @ S-G Isn't there a "Lost Password" button? I've heard it doesn't work, but it's worth a shot. But isn't Malefor in it? Maybe we should make the movie off of what happens after DotD. The first movie we're basing of ANB, then one for TEN, then DoTD, a spin-off... And then possibly something after DoTD. The problem with DoTD is that it's filled with plotholes and unexplained points, which leaves so many theories as to what happened afterwards. For me it's a dark, bleak place afterwards yet still crawling with life. But other people in the project have said it's a typical happy ending(which, going by just DoTD, is correct) or something else. I think ANB is a good place to start anyway, as a test film maybe. Or TDH. They'd both be easy to make in relation to something like DoTD, and we already have the games, so we may as well have movies for them as well, know what I mean? Yeah, she tried that, I think, when we on the school computers on Friday. She could try making a new account. Or you could PM dark to set a new password for her or something. I think she has tried to join several times. If her new one, or the one she set a new password to doesn't work, then I'll ask dark. Make sure she's got the right caps, as well. I've miss-capped several times and thought my account was hacked or something. I told her that. I don't know if she listened. I think we should come up with a brand new villain (Or we could use the Sorcerer). Even the Soceress. Ripto survived about ten battles... I'm sure she could as well. We could try and mix some of the post-Dawn theories, but I don't know how that would work. If we use the sorcerer we could reunleash the Shadow Realm. There's a lot about it we don't know, and who knows how it could have developed? Who's the enemy in the movie(s)? The Dark Armies, mostly(ANB/TEN), Grublin Armies(DoTD- that's an if), Raptor Jack(TDH) if I remember correctly, possibly shadow realm creatures(TDH or post-Dawn), possibly the Sorcerer/Sorceress(TDH or post-Dawn), general minibosses(Skabb, Ice King, etc. ), Malefor, Dark Cynder and if anybody else has more suggestions, go ahead. Now I'm thinking that writing the script is gonna be hard. Dark Armies, Grublin Armies, Shadow Realm creatures and Minibosses wouldn't really need to talk. We still gotta decide on the villains though and the actual plot changes which I completely forgot about. Judge not, and you will not be judged; condemn not, and you will not be condemned; forgive, and you will be forgiven; give, and it will be given to you. Oops. Sorry. I must have mixed you up with somebody. >.>' I'll fix that now. I'll put "Possible" for now though, because we still need to fix the scripting out, but I'll make sure you at least get to join in for some of it. That ANB script you put up was pretty good. I'm guessing I'll be voicing Cynder now? And Ember. Most likely, yes. Are your examples ready yet? What part of the script would I start at? Do I carry on from what you had sent me in the message (PM)? The real question is who will script. We've got about 5 people who want to script. Bolt would be a good scripted, but she doesn't come on too often. I'm thinking we could have two people doing a script draft together, then the drafts sent to an editor, then finally me and I can make any final changes. I'm just tossing up an idea here, guess we'll need to see how things go at the moment. Okay. By the way, I posted a new piece of art on my gallery. I'll be editor if someone REALLY REALLY REALLY wants to be a script writer. Well as far as I know, scripter is the only job Angel signed up for. So that would even things out. Just wait and see for now. Well, you did say you were only posting in SNN. This thing sure moves fast! I'll be coming on more often now, or I'll try to. I was playing Spore of a bit and I'll try to push Freefonix aside and I might be able to get the script done. Any ideas on some concept art I could do? I will stop playing Sonic Adventure 2 Battle and work on the advertising......then play Sonic Unleashed. I've put a list of characters on the top. 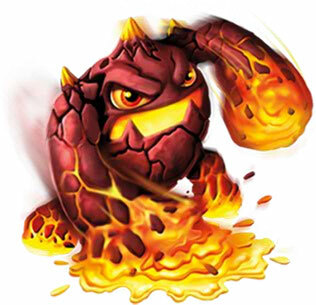 The Elemental Avatars for TEN are from the GBA version. I thought it could be cool to link not Originals and Legends, but Legend to Legend. The GBA version was so underappreciated. That's a good idea.....and I'm actually going to work on something now. And I'll keep an eye out. Project Frixion? Isn't that a pen? Pilot makes Frixion pens. I love frixion pens! I have an old ad for one. My friend had joined now GM. She asked me to ask you what you want her to draw.